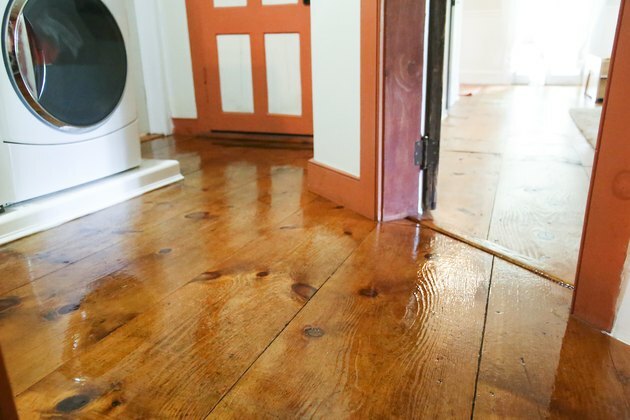 Wood floors can last generations, but the finish on them won't. 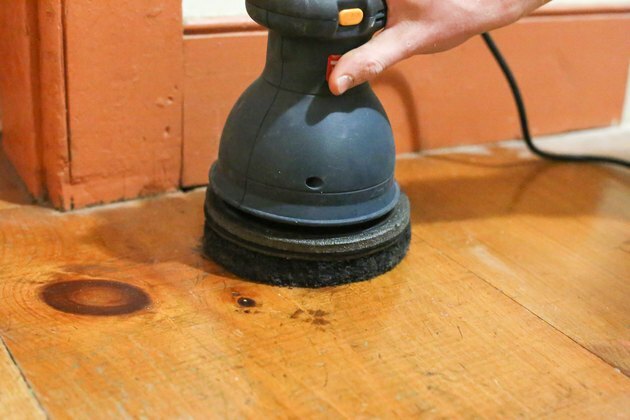 Fully refinishing a floor generally involves sanding it down to bare wood, removing the whole top layer of the grain, then re-staining and re-glossing. 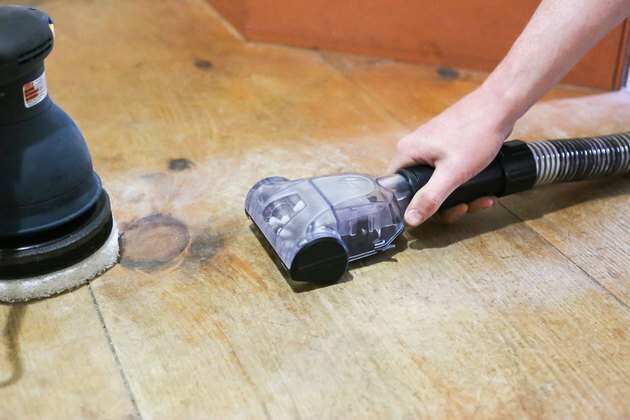 However, this can be done just a few times in a floor's lifetime before too much of the surface wood is gone, so avoid sanding whenever possible. 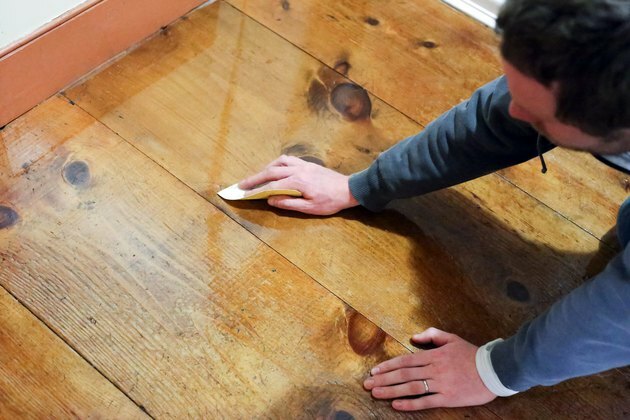 If the gloss layer is worn out but the stain is still in good shape, screen the floor instead; this sanding alternative removes only the gloss so you can replace it. Load a floor buffer with its heaviest screening pad. Buff the floor, running the machine with the direction of the boards and working you way across the room from one edge to the other, taking off the top layer of the existing gloss. Screen the whole floor. Vacuum thoroughly. Load the buffer with a medium-abrasion pad. Buff the floor again, in the same manner as before, to take up the last of the gloss. Vacuum the area. Buff the floor a third and final time with your finest level of screening pad to smooth and clean the surface. Vacuum thoroughly. The result should be a completely dull and flat floor, with all the gloss gone, but with the original stain still in place. Stir your can of polyurethane gently and avoid shaking it. 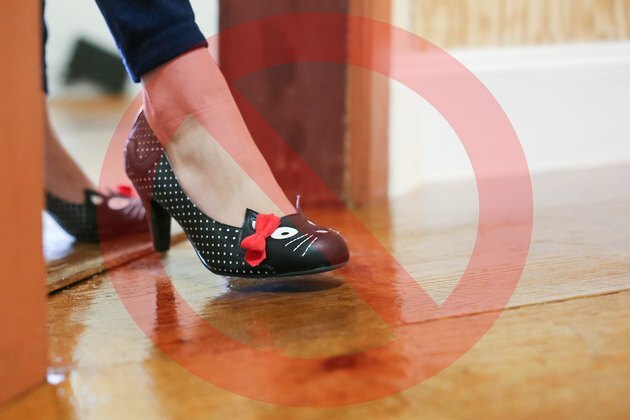 Pour down a puddle of polyurethane near the corner of the floor that's furthest from the entrance. 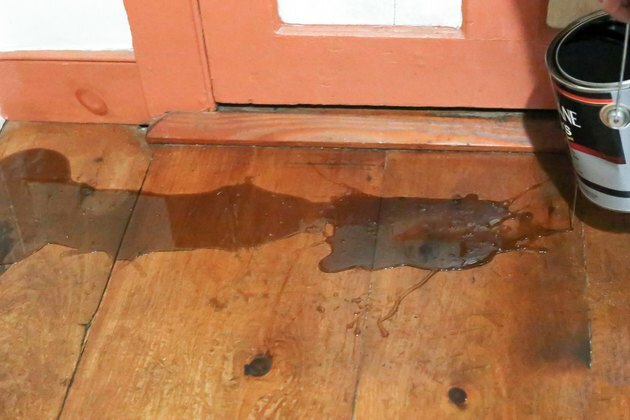 Pour it in a line perpendicular to the direction of the floorboards and as long as the pad on your floor gloss applicator. 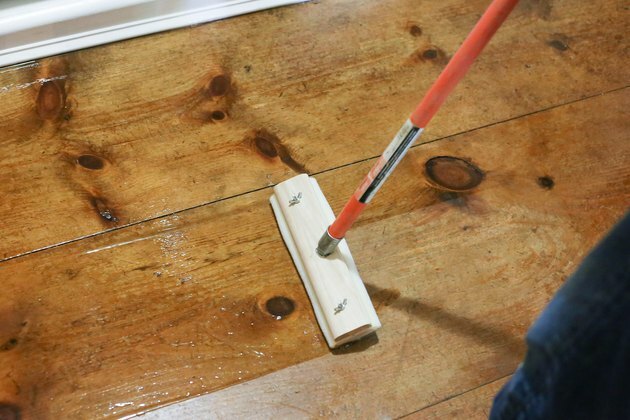 Set the applicator in the gloss and pull it slowly backward, over the floorboards, running in the same direction as the planks. Add more polyurethane and repeat, pulling it across the whole length of the floor and then back. Do the whole floor and let it dry for eight to 10 hours. Buff the dried gloss with fine sandpaper very lightly by hand -- just enough to dull the shine. Vacuum the area. Lay a second coat of polyurethane in the same manner as the first. Let it dry. Hand-sand and vacuum. Lay a third coat of polyurethane. Let it set for 48 hours before using the floor.